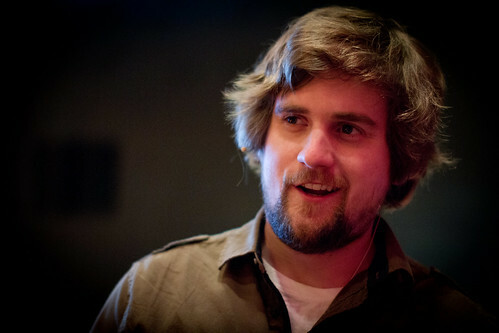 We’re joined in Episode 51 by mobile web strategist and front-end designer Brad Frost. Brad’s blog posts have featured in a number of UX Podcast link shows, and he’s a bit of an ideological soul-mate of James and Per. We talk about breaking down silos, standing up and doing things “right”, the importance of consistency, the usefulness of frameworks and style guides – and, of course, Future Friendly. Jack Nicholson: Why can’t we all just get along? 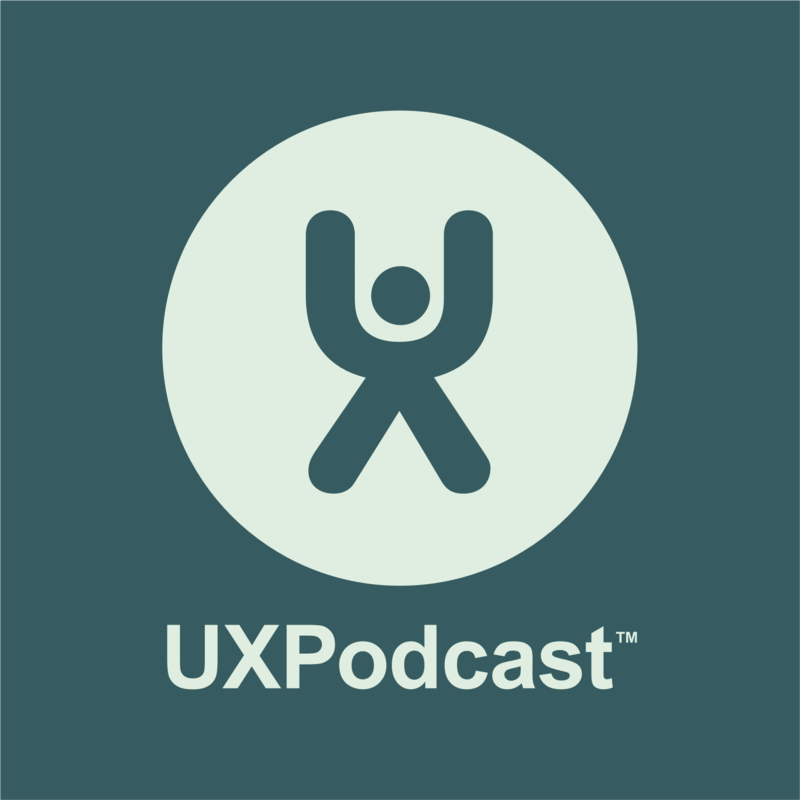 Per: Hello and welcome to UX Podcast episode 51. You’re listening to me Per Axbom. Per: It is 51, isn’t it? James: I reckon so. It says 51 on my notes here. James: I know it’s going to be difficult for you because you’re jetlagged. Per: I am extremely jetlagged and I’ve had like an excellent vacation. But I had the worst ending to it with the travels back to Sweden and I must say it took us almost 40 hours to get from Detroit to Stockholm. James: I was following your adventures on Facebook. It didn’t look fun. Per: Yeah, it was insane. First, the flight was delayed hour after hour after hour and then finally then it was actually cancelled and the whole family had to sleep on the airport floor and spend the whole day at the airport again and then leave again in the afternoon. James: But I’m so impressed that your luggage arrived. Per: I am too actually, because we were rebooked on different flights all over all the time but our luggage actually made it at the same time as us to Sweden, so that was really good. James: Impressive. One thing though Per. James: You got to be careful. What you need to try and do is not let this be your holiday story. Per: Very true actually because this actually hooks into what we were talking about last week with these psychology theories that we’re all into these days with the peak-end theory. I was actually thinking about that. So this was the end of the thing and that was the peak of the thing almost. Unusually that’s what basically – mostly remember from it and that’s what you can begin talking about. James: Yeah, it’s top of mind. It’s the most recent memory. It’s the most recent adventure during your holiday. So someone asks you how your holiday was, you say it was fantastic but you might be going home. Exactly what you did when I asked you how it was. Per: Yeah, exactly but that’s also the fun part to talk about sort of. James: Yeah. Hold on. That must be episode 52 or something. This is episode 51 and in this episode we’re going to be talking to Brad Frost. Per: Yes, we are. Excellent. Per: And we have Brad also on the last show. We talked about one of his articles. James: Yeah, we talked about his articles. Per: And then we had some contact with him on Twitter and you thought it was a good idea to interview him. I thought as well and he thought as well. James: Well, let’s ring him then. Per: All right. Let’s go for it. Brad: Hey, how are you? Brad: Can you hear me alright? Per: I hear you great. James: I can hear you Brad. Yeah, I can hear you Brad. Brad: Perfect. I just got a new sort of like recording set up for music and so I’m using that and this is like my first time playing around with it. James: Oh, that’s really nice of you. Are you going to give us a song as well Brad? Per: Excellent. I’m actually cooped up in my bedroom because the kids are outside playing Xbox in the living room and that would be too loud. James: I’m actually in my office which is in the house in the garden. My kids are cooped up in the cellar, playing Skylanders. Brad: Nice. My kid or should I say my dog is outside and I’m actually – if you want to hold on just like a couple of seconds, I forgot I left him out there. So I got to bring him back in. Hang on one second. Per: So waiting for Brad to get his dog. Brad: All right. I’m back. Brad: My dog Ziggy, I love him but whenever I’m at my computer, so he will come up and just sort of claw at me and he’s like hey, you shouldn’t be on your computer right now. You need to be paying attention to me. So I’m like oh, maybe you need to go outside. James: Brad, I got a friend who does a podcast and he has Basset Hounds and they really love being in and around when he’s doing his podcast. Per: So excellent that you wanted to be on the show. Per: We don’t know yet what we will be talking about. We had some ideas of talking about future friendliness. But let’s, I mean you’re based in Pittsburgh, Pennsylvania. Per: And I had to check sort of. That’s like 250 miles west of New York or four hundred kilometres. Brad: So it would basically take you around six, six and a half hours or something to drive home, maybe between five and half and six and a half hours to drive west, pretty much straight west. Brad: From New York, which I did a lot because actually up until last year, I was living in New York City. Brad: Yeah. So I was there for five years and actually Pittsburgh is home and so I’m sort of moving back home, which I’m really happy with that decision. Per: So based on the quick research we’ve done about you, we think alike very much. Both James and I follow your blog and I think we’ve – I mean last time wasn’t the first time we talked about one of your posts. So given that we’re very similar, I was trying to think about a subject for us to talk about and I was looking through the front page of your website and very similar subjects but the one that caught my mind or caught my eye rather was the future friendly as one of your services where you actually say something about offering future friendliness. I‘m going to try and bring it up here actually because I had it before. Just embracing unpredictability and behaving in a future friendly way, that seems like kind of a hard thing to do and I think that’s something we all come across. How long have you been doing UX work or do you even call yourself a UX designer? Brad: Yeah, actually I do even though I’m technically a developer. I actually sort of get into these little battles with people about stuff like that just because I get really annoyed whenever people try to silo our disciplines into these very neat, tidy buckets. Brad: So the UX designer is technically historically like an information architect or somebody like that. The agency I worked at, they called them interaction designers but they were basically just making PDFs all day. They were making wireframes in InDesign, like that. That’s not really interaction and then you have visual designer is like oh, you’re just the people that are colouring the lines and oh, developers. You’re just these techy blah. I especially hate the developer role or title because really it’s just we “creative” people will be over here doing all this fancy thinking and stuff and you’re just going to be the little monkey that actually hooks it all up and makes it work and stuff. So that has been the story of my career has been trying to fight against that sort of developer only as this person that you call into a meeting to just say, “Yes, this is feasible. No, this isn’t feasible. Yes, this is feasible. No, this isn’t feasible,” and like seriously that’s how it works. James: And I know. I’ve had a very similar time as well. I spent most of my time crossing these bridges and trying to make these silos talk to each other and we actually started the entire podcast just over two years ago and after been at UX Lx and hearing everyone there, just all these UXs complaining about how theirs is the perfect silo and how all the other silos don’t understand them and they just need to listen to – start listening to them. Brad: Yeah, it’s ridiculous. It’s totally ridiculous but yeah, I consider myself a UX designer even though I’m the person doing like HTML and stuff and CSS. But I’m creating an experience or I’m creating something that a user will experience, right? I’m creating something that someone will interact with and enjoy and whatever and what I’m doing is actually constructing that. So I do think that there is pretty much anyone involved in a project and can call themselves a UX designer. Per: You should be thinking about the end product, not what role you’re playing. James: I think there’s also this degree of honesty that we spend – I know a lot of people in different roles spend far too much time not really being honest about what they’re doing and what they’re producing and just getting on with doing it because life is easier if you just produce that code or you do those wireframes or just deliver that document. James: And standing up and doing something about it. Now that’s a difficult path to take. Brad: It is and I like that joke around about how I feel like my career path has basically been a salmon swimming upstream a waterfall process. It’s really difficult to do but basically especially with a lot of sort of like responsive work and just getting people to care about that, it first began with the people earlier in the process in the assembly line. So the visual designers have to convince them and then go on to convince the information architects and then eventually convince the project managers and stuff and then eventually sitting in front of the clients and stuff. So it has been a long, hard battle and stuff but yeah, it’s something that we need to do is just convince everyone and help everyone stay on track and I can’t even count the amount of time where I’ve just had stuff thrown over the fence to me, stuff that – like here, you just build this. I’m like this is a terrible idea. And them I’m like wow, you’re really mean Brad and it’s like no. I mean seriously, how did they get this far? It is because it’s because people want to do their job and nothing more. They don’t want to rock the boat and stuff like that in order to do really good work. I do think that you need to challenge people and you need to really – again like break out of your own discipline in order to work with people that they’re just – it’s not very fun if you’re just sort of sitting in your middle bucket that’s for sure. James: I quite often, well, half-joke about the fact that every project, every deliverable almost is more of an education project. You have to educate more than deliver. James: I mean I half-joke about it because it is like that. Every time I stand up and present something or explain something I’m delivering to a client, it’s mostly passing on knowledge rather than implementing a solution because it doesn’t really work unless they’ve really understood why and what you’re doing. It is. It’s all about education because the context of the specific project is going to change but part of where I was at, at the agency I was working for which is R/GA, I was there in New York for a long while, and part of what made my role great was that I wasn’t stuck on one project. I sort of floated between a bunch of them and as a result, I was able to sort of see the common problems, the common sort of road blocks or the common sort of misunderstanding or whatever that people have run into. So it has been really nice to have that perspective and that has definitely influenced the kind of stuff that I work on. Per: I think the three of us have had the same type of experience that we have to educate the client all the time and we’re finding new ways to do that and I’m using a lot of sketches and visual presentations nowadays to do exactly the same thing. But it would be nicer if I didn’t have to spend all that time explaining why I’m doing this stuff because often the problem, the basic problem is that the client doesn’t even have an answer to the simple question of why are we doing this. Per: So we have to go back and educate them about their own business, not only about our own work that we do for them, and that’s what’s really surprising to me. James: Yeah, be business consultants to help them alter their internal organizations first before you can actually produce something. Brad: No, absolutely. I think that you especially run into that stuff with these – with big brands or something or people that are well, it’s 2013 and so now we have a chunk of money in. So we’re going to redesign our site again and it’s that question of “why” doesn’t get asked often enough. But yeah, I mean I think there are lots of tools and stuff that we can do to – and just even images. For example, I made an image or a series of three images that I’ve used in a lot of my presentations but I ended up throwing it up on my blog because this for me has saved me so many words and has convinced people and sort of got the point across better than any sort of speech could give. But it’s basically just three images and it says, “This is not the web,” with a picture just like a desktop, old trusty desktop. Per: Oh, yeah. I’ve seen those pictures. Brad: Yeah, and it’s like this is the web and it’s like smart phones, dumb phones, ereaders, tablets, like all sorts of stuff and then it’s like this will be the web with like a bunch of question marks and stuff. The whole idea again is that just showing those three images in quick succession is like – it’s like OK, I get it. I get why we’re even in this room talking about why we need to address this or why we’re even talking about responsive design or why we’re talking about what’s next. It’s because things have changed and I get that perceived. So yeah, just doing like little stuff like that, just like producing a quick series of little images and stuff have gone a long way for me. James: I think one of the big issues that we’ve got in the entire branch, I mean OK, we’re three guys now talking that have understood. We’re members of the chosen few that understand about performance, responsive design or like “carousels don’t work” or whatever subject one will think about. But yet, as we’ve just said, lots of places are doing this wrong or their organizations can’t cope with it or they can’t see the forest because of the trees. One of the reasons I think is because it’s so easy to do web stuff and there’s so many businesses out there that their entire product is doing stuff easy without all the care, the attention, the management to detail that we know delivers. How can we come over that? How can we bridge those two worlds? The quick solution to the company that buys that quick solution and then those of us who know that doesn’t really cut it. Per: I’ve actually had clients who – well, mostly in the past, mostly in the late 90s, they always had a relative or a niece or a nephew who could do this stuff and my nephew could do this website or whatever. But I’ve actually come across that later on as well when doing campaigns that hire like a student to do some Flash stuff or something like that because it’s much cheaper. As long as you don’t know why you’re doing it, you don’t even care what it costs. You just know they need a Flash presentation. Brad: Sure, yeah. I think that what you’re talking about is something that’s extremely, extremely important and I see it more and more which is like how do we bridge that world of plug and play, turnkey solutions, the things that all these companies like to sell so much. How do we make tools? How do we make methodologies and stuff like that, that takes a lot of the hard work out of it but still don’t get in the way of you doing really good work properly? I see a lot of I guess the things that I’m working on now. I’m working on this Pattern Lab thing which is trying to do that, which basically it’s – what it is, is it’s not like a solution. It’s not here’s your website and you could skin it however you want and here’s like all these different components so you could combine them however you want. The idea is this is more like a framework for like stitching together your own interface. But what I’m really cognizant about in making this tool is not to influence how you want to create your own site. Per: Well, is that the tool that’s based on Bootstrap but you pull things in? It’s like a site builder but based on Bootstrap, right? Brad: Right, precisely and so that’s what I like about that is that it’s this very easy, very drag and drop. You double click on the text and you could change the buttons and you could change the size and you could reorder things and stuff but you’re actually manipulating like real HTML ultimately, right? So it’s very realistic and as far as like getting a quick prototype up and running to show someone here’s what we’re thinking or whatever, like that’s a great idea and what it does is it – so it doesn’t dumb down what’s ultimately being created. You’re not like creating like a drawing of a website. You are actually creating – you’re manipulating an actual website but they have provided this UI for you to sort of quickly and easily drag things on to the screen and reorder them and stuff like that. So that I think that that’s the kind of thing that I’m getting excited about where it’s like how do we make it easier for people to construct web experiences, to do their wireframes, to do their Java a lot better without having to go through all the tedium of like manual code and every time I want it on another list, I’m going to have to write all that stuff from scratch. I do like the idea of like giving people like a better starting point but still give people the flexibility and the power to like get under the hood and really do things the way that they want to do them. Per: I’m really loving Bootstrap these days. I’m using Bootstrap a lot for prototypes and I’m realizing how much – bringing it closer to something that looks like the end product makes it so much easier to communicate both with developers and with the clients, so I’m all for that. But then there’s always the next step of actually building the site as well and making it optimized and streamlined and whatever and sometimes there are so much belief in that what is the prototype is something that you can just take and just modify a bit and that will be the final product. That’s what I sort of am seeing is the danger in the projects that I’m participating in right now is they don’t see how far we have left because there’s a lot to go and ways to go after that as well. Brad: Yeah. It’s like wow, it looks like we’re done. Yeah, no, not really. But yeah, and I think that is certainly again something that requires education where it’s – listen, we’re showing you this prototype and stuff like that. Yes, it is working. Yes, we’re showing active states. Yes, we’re able to click from page to page and stuff and that’s so, so much better and more effective than printing out a 90-page PDF of like here’s what your website is going to be with all the annotations that are just so verbose, it’s amazing. So yeah, like that definitely gets us a lot closer and stuff but then ultimately yes, you have to build the thing for real. But I will take a prototype and an explanation over intentionally dumbing down things on paper just so that whenever we build the thing, we are only building it once, right? James: And after all this, we’ve got the next phase which is websites need to be run. They have to be taken and lived with after you’ve done a new design, a new skin to it all or bumped it into a new tool. James: And that’s often where they start to fall down and fall down rapidly. James: And maybe the frameworks will help us take a little step beyond that as well by standardizing or reusing a lot more. Maybe it will make it slightly easier to maintain sites and keep them running and tweak them instead of rebuilding them. Brad: Right. Well, so, this is where something where it’s one thing to talk about frameworks as a prototyping tool and stuff and I’m all for that. I do shy away from it for like production builds and stuff just because some of the clients I’ve worked with in the past. Like Nike isn’t going to make like a Bootstrap site for like your site. You know what I mean? But Dave Rupert had this great post talking about responsive deliverables and he worked on Microsoft.com and he was talking about how we need tiny Bootstraps for every client. So the idea is no longer here are your page templates and I’m going to run away and see you next year or whatever. The idea is that we now need to deliver these full-on component libraries and commented code and here’s how you use this stuff. Here it is in context and all this and I totally love that idea of yeah, we have to live with these websites and the clients have to live with the websites. The organizations have to live with them and what better way than to actually instead of just throwing them over some final code or whatever, let’s actually deliver them this full-on system that’s nice and extendable. They could take it, run with it and maintain it and pass it off to different people and everyone will be brought up to speed instead of just this like sort of like black box like OK, here’s your home page. Here’s your contact page. Here’s your check out page like whatever. We need to get a lot more sophisticated than that. That’s why again the tools that I’m working on now are trying to sort of venture into those waters. James: I think that’s great and also then we come back into the whole honesty thing again and that organizations themselves need to be honest about whether they can deal with these frameworks and systems and so on that we’re presenting to them. It’s too easy for them to say, “Yeah, yeah, just bring it on. We will do that,” and then they can’t actually cope internally with using it and getting on with it. James: So it would be better for them to say, no, hold on. I think this has stepped too far. So dumb down or go back a step and you’re like OK, well in that case we will do this because we think this is more achievable for you right now and because this is good groundwork that we’re laying. Maybe in a year, we can revisit this a bit and we can take the next step when you’ve matured a bit more organizationally and then we can do the rest. Brad: Yeah. A post I just posted yesterday was sort of introducing this concept, just to – because a lot of people, again education, they don’t understand that. They don’t just need another design that they need this – to think of things as more like a systematic sort of approach. So I just wrote something called interface inventory and the whole idea is like basically the steps you take to create an interface inventory. So you take whatever your client site is and then just start screenshotting the crap out of it and sort of clumping them into like different buckets and stuff. So it’s like here’s our button styles and here’s our form styles and here’s our breadcrumbs and here’s our tabs and here’s our accordions and whatever. But basically, you’re deconstructing the interface, the existing interface into like a keynote like presentation or something. The whole idea is to sort of show a lot of like the inconsistencies that arrive whenever like we just treat things as like pages or whatever or have 17 agencies working on the website or just seven different teams and stuff. It’s staggering like how quickly everything could fall out of whack and I use my bank as an example which is just all over the place. I screenshotted a bunch of their buttons and they have like 100,000 different button styles that are all similar but no two are the same. James: I think it’s great. It’s a great example of that picture on the blog post. Brad: Right. I think that anybody would – and you would acknowledge that as a problem. But the thing is, is that like you were saying is like from an organizational standpoint. Like this is the kind of stuff that you could put in front of them and say, “Here’s where we’re at.” You could look at this picture of 100 different button styles and realize that yeah, we probably should do something about this. We should probably have some guidelines. We should probably think of things in a more systematic way. So again, really like something – a tool like this, like a technique like this is more or less just to educate, just to get people on the same page, to convince them that like yeah, we just don’t want to go down yet another redesign path again for no good reason other than you have a little money to spend. Per: I like that because it sounds like it’s an activity that anyone could get started with quite soon. It doesn’t take a whole lot of time but it’s really enlightening for the whole organization about what’s going on. But also you would want to create something that perhaps not only the people within the organization could use but that other suppliers could use because that’s a problem I sometimes run into that when I’m hired by a large organization, I don’t get the tools that allow me to access the CSS files and stuff so I can’t create the – I can go visually and look at the stuff and they probably mean like that and I can create something similar but I don’t get the tool set that will help me to actually do it exactly the way they want to or the way they should want to. Per: That’s what you’re really getting to when you’re providing this tool I think. Brad: Yeah, and I’m working on some other stuff that’s trying to address that too, just because again I’ve worked with a lot of brands. I’ve worked with a lot of different agencies, a lot of different third party vendors, a lot of different – but even just internally, people come and go and they take the knowledge with them. They know where the latest files are and stuff like that. It’s amazing how much of an ordeal it is just to even get like a PSD or just to get a style guide or just to get – it’s like locked up in like final underscore version two, underscore for print, underscore for printer, underscore version two dot PDF and it’s like oh yeah, it’s in page 14 of that. Everybody knows that. It’s just it’s amazing like how disorganized these organizations could be and so I think that in order to do really sound work, web work and stuff especially, with these organizations that are just so big, you need those guidelines. You need those starter PSDs. You need those component libraries in order for you to know what you’re working with, how things should be done, but also to get an idea of like where you might be able to like bend rules. I see a lot of this like systematic design and style guides and stuff like that not as like here’s exactly how you do things all the time. But rather as like a good baseline of like here’s where we’re at. We do have some flexibility hopefully to like do some really innovative things and stuff. You shouldn’t only be limited to what we have in our style guide or a pattern library or whatever and just arrange them in a certain way. That’s not terribly fun. But at the same time like just know the difference between making something intentionally different versus totally unintentionally different. I think it’s a really important point to get across. James: I think it’s – you can’t start too soon or too small with this. I mean even if you’re a small organization. One thing I’ve done over the years with small clients who maybe just want to work a site with a standard template, I make sure – I encourage and educate them about keeping track of their little style guide even if they don’t have an official style guide or brand guidelines. I mean most of them have some kind of logo or there’s a font they use generally or there’s some type of colours that they’ve chosen. James: It’s red and they don’t really understand how you – be consistent, so small and large. It’s never wasted time to kind of have a central place where you keep the details to help you be consistent. Per: Isn’t this also gentlemen actually a nice segue into future friendliness, that this is actually the baseline for making it future friendly? Have something in place – yeah, you don’t want to really spend time on all this. I mean the amount of time you spend and actually trying to find those documents but the version 2 underscore 3.6. That’s time that could be spent doing so much more things that would be better for the user experience. But it’s actually having the baseline of something that is a guide. Then regardless of technology in the future, you would go back to the guide, and see how that fits and how you could actually develop that with the future technology that is existent whenever. Brad: Right, exactly. I think that this is – a lot of the stuff reflects the fact that you can’t control the technology landscape. You just can’t. Brad: And nobody knows where it’s going to go and then so really the basic question is like, “Well, what can you control?” Well, you can control your own stuff and so this is what we’re doing. We’re trying to make it easier for people to control their own stuff, to have a better idea of what the organization is, what it does, who they’re trying to reach because those things aren’t going to change hopefully. I mean like your audience and stuff might over time but like – but today, it’s iOS apps. Today’s it’s Android apps. Today it’s a standard website and really who knows what sort of stuff we’re going to be making just a couple of years from now. But having that inventory, having that strong sense of like this is our red and this is our tone of voice, I’m sure you guys have seen like voice and tone by MailChimp. Brad: Yeah. Just having that sort of stuff today just absolutely prepares you for whatever is in store. Per: I think that’s really important to stress touching upon there. Like it’s not only style but it’s also like microcopy, the little – how you stay say stuff, how the error messages should be presented. Brad: But even just – again, like what is our company. What does it stand for? What are our values? What are our things? It’s like it is. It’s amazing how many people don’t have that stuff in place. It’s crazy. James: But I’ve said to a few clients recently, well, every single webpage needs to have a goal and they go, “What? Every one?” Yeah, because why is it there? But that’s just too difficult. Yeah, no, it’s not easy. Per: How else can we measure? Well, we measure whatever how many people visit the site. Yeah. James: Well, I think it’s probably time for us to wrap us, isn’t it Per? Per: I think so. There is one question I have for Brad and that has to do with his avatar because I was really curious about it. Is there a story behind the space helmet? Per: Because I know that Luke Wroblewski has a space helmet. So I guess is there a meme going on here that I don’t know about? Brad: Yeah. So a few of us got together outside of Nashville around the Breaking Development Conference. This is now almost a two years ago I think but it was basically a bunch of people that all care about the web and sort of where things are going and all these different mobile devices and stuff like that. James: All right. All the names. All the undersigns. Brad: Yeah, yeah. So what ended up happening, the story of the helmet is that at this house, it just happened to be this astronaut helmet there. James: Just happened to be?! Brad: Yeah, I know. It’s just it’s pretty – yeah, it’s pretty fortuitous there but yeah, so that sort of became the de facto sort of like icon for the whole thing which was pretty appropriate because we ended up calling it Future Friendly. So yes, so that’s why Luke and Jeremy Keith and a few others had their space helmet avatars. We actually just created a United Pixelworkers future-friendly helmet t-shirt and all the proceeds are going to Archive.org to helping them back up the internet. Per: Nice. I had no idea about this. James: That’s something we have to buy Per. Brad: Yeah, but yeah, so that’s the story behind it and I really like it. I like having my professional headshot be a – picture of me in a helmet. James: I think most of us got a little astronaut somewhere inside us. Brad: Oh, yeah, absolutely. But that’s what I do. I love that about being future friendly is that it is something that I think a lot of people can just understand whenever I explain it to clients or I can explain it to other people. They’re like oh yeah, that makes sense. Expect that things are going to change and make things as friendly for whatever is coming down the pipes. Like that makes perfect sense. I do. I love that. It’s pretty accessible. Per: Excellent note to end on as well. Brad: Cool. Yeah. Well, thanks for having me. Per: Oh, thank you for giving us your time. Brad: Yeah, it’s no problem. James: I think we could have you on every week. Per: Yes. I think so as well. Brad: Well, feel free to give me a call in a couple of weeks. I will be happy to do it. Per: Great. What time is it over there? Brad: It is 11:11 on July 11. Wow, I just looked it up in my computer. Brad: It’s like ultimate wish making stuff right there. Per: OK. Then have a good lunch and we will let you know when we post the show. Brad: OK. All right. Sounds like a plan. James: Thanks very much Brad. Brad: All right. Hey, thanks a lot guys. Take care. Per: Excellent. I think that was great talking to Brad and that was so funny about the story about the helmets because I sort of wanted to start off talking about future friendliness. We talked about so much other stuff and then all of a sudden, the helmets had something to do with future friendliness which was really quite funny. James: We had a half hour intro to what you wanted to talk about. Per: Yes. I think so. James: I think we did quite alright there and not turning into a love-fest because what we realized is that Brad is on the same track as us. James: He has got a lot of same ideas, understanding and hopes and dreams about what we can do in this wonderful world of web and digital. He sits a little bit more on the developer side than us. James: Which is an excellent insight. Per: And a concept of anyone calling themselves a UX designer. I like that actually. That’s what has happened. I mean there are a few of us who call ourselves a UX designer that actually have any sort of formal education. James: We touched up on the whole title of UX, didn’t we a few episodes ago? That’s one of the things we basically came to conclusion on that. It doesn’t really exist, does it? We’re all doing UX to a degree. We’re just doing other things under the umbrella of UX. When it boils down to it, we all just need to get along. James: Why can’t we all just get along? Per: OK. So the next challenge is for us to record the next episode while you’re away on vacation. James: Yeah, I think I’m going to be out of the country next time. James: We been assured we’ve got internet so we will – well, hopefully that will work. Per: It usually does in some way. James: It’s all sticky-tape and string anyway. We’ll work it out. Per: Yes. OK. I think I heard your kids shouting in the background. James: I think they’re still on the property. I can still hear them so they’re not too far away. Well, I’m going to go and salvage them from whatever mischief they’re getting up to while I’m recording this with you. Per: OK. Excellent. To our listeners, remember to keep moving.